Andersonville: found cat & dog Reviewed by Edgeville Buzz on June 27, 2011 . 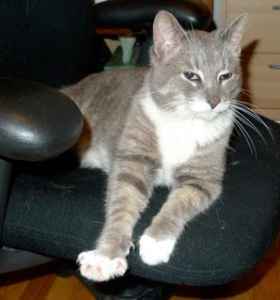 This cat was found outside on the 1400 block of Catalpa. Friendly. No collar. Seems to be a house cat. Grey and white. 22″ long. Aprox. 10 lbs. 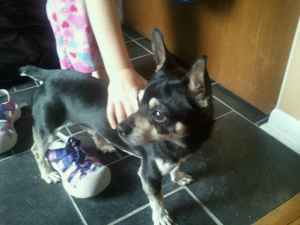 Found on 6/23 on corner of Winona and Ashland: Male Chihuahua Mix. Mainly Black with some tan markings similar to pinscher breed. Very sweet dog I am sure you are missing him! He is fully intact. Please e-mail with description to identify. We are fostering him over the weekend but he will go to a shelter in Andersonville on Monday morning.